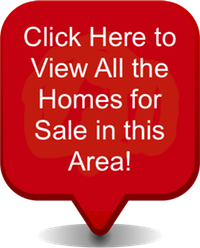 Access all Paradise Valley real estate and homes for sale here. Properties in Paradise Valley are updated daily from the MLS, so be sure to return here for the newest listings for sale in Paradise Valley, Arizona. Paradise Valley is one of the most exclusive, most expensive, and most affluent communities in the Valley of the Sun. It is almost entirely residential with very little commercial activity and is home to some of the finest resorts in the world. The community lies just north of Camelback Mountain. Compared to other cities in the area, Paradise Valley real estate covers a relatively small area and has a considerably smaller population, yet is has the highest median income and the largest number of college graduates among its residents. Paradise Valley is the home to many retired and active professional athletes, politicians, business entrepreneurs, CEOs, actors, and musicians. The homes in Paradise Valley are often set back on large lots and demand top dollar because of their location, their lavishness, and their size. Paradise Valley residents enjoy the wonderful views they have of Camelback Mountain and Mummy Mountain. Camelback Mountain is considered the crowning jewel of Paradise Valley with its red rock stretching high into the blue, cloudless sky. Among outdoor enthusiasts, both local and visitors, Echo Canyon Recreational Area, part of Camelback Mountain, is the place to go. Unlike other parks, Echo Canyon Recreational Area offers only one thing. Hiking. Hikers can enjoy views of the entire valley from the top of Echo Canyon. Another great climb on the northwest side of Camelback Mountain is The Praying Monk, a rock formation that looks like a praying monk on bended knee. Only skilled climbers should attempt climbing this rock. For others who enjoy viewing the outdoors from the safety of their car, the Paradise Valley Scenic Drive is a magnificent drive past luxury homes and lovely desert landscapes. Paradise Valley got its name from the abundance of wildflowers found growing throughout the area. It was originally planned as a farming area. However, this idea never came to fruition. In time, homes were built, and in 1961, in order to avoid annexation by Phoenix, Paradise Valley was incorporated. Today, the residents of this community truly feel like they are living in paradise. Paradise Valley has a population of over 15,000 and consists of approximatley 5500 homes. The median home value is $1,185,000. The area covers approximately 16 square miles and more information can be found on the city's website at http://www.paradisevalleyaz.gov.